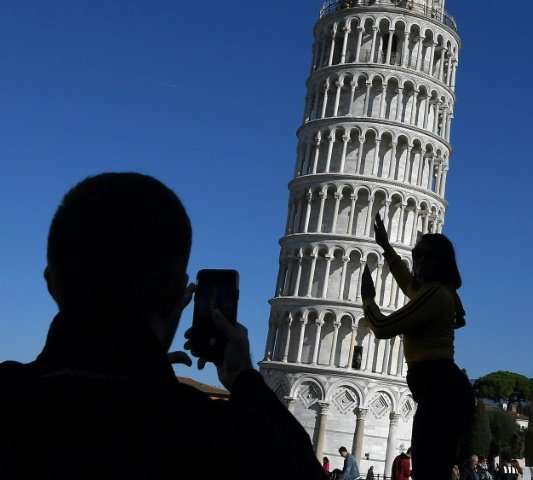 "It's still straightening," said engineer Roberto Cela, gazing at the Leaning Tower of Pisa gleaming in the autumn sunshine of northern Italy. "And many years will have to pass before it stops." The gravitationally-challenged landmark is leaning less after years of ambitious engineering work. Fortunately for the millions of tourists who come here every year, the 57-metre (186-feet) tower remains beautifully askance. The tower was closed to the public in January 1990 for 11 years over safety fears, as its tilt reached 4.5 meters (15 feet) from the vertical, threatening to turn it into a pile of rubble. 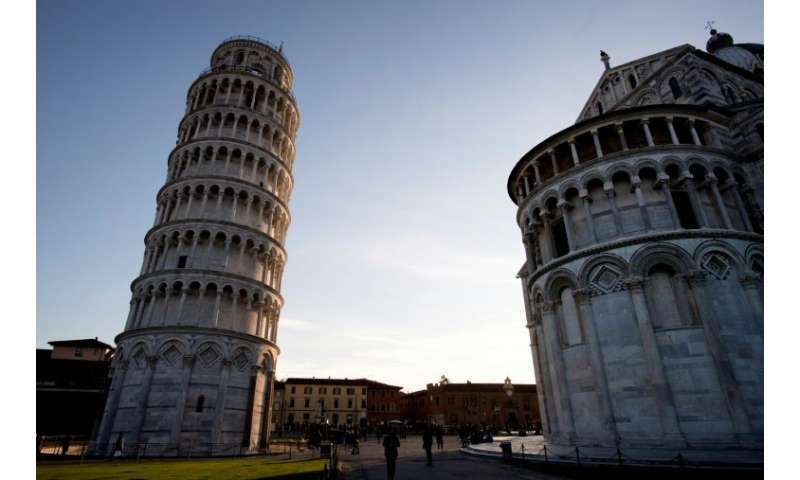 "We installed a number of tubes underground, on the side that the Tower leans away from," said Cela, technical director at the OPA, which looks after Pisa's main monuments. "We removed soil by drilling very carefully. Thanks to this system, we recovered half a degree of lean," he said. Michele Jamiolkowski, an engineer of Polish origin who adopted Italian nationality, coordinated an international committee to rescue the landmark between 1993 and 2001. Is it me, honey, or is the tower a little straighter? 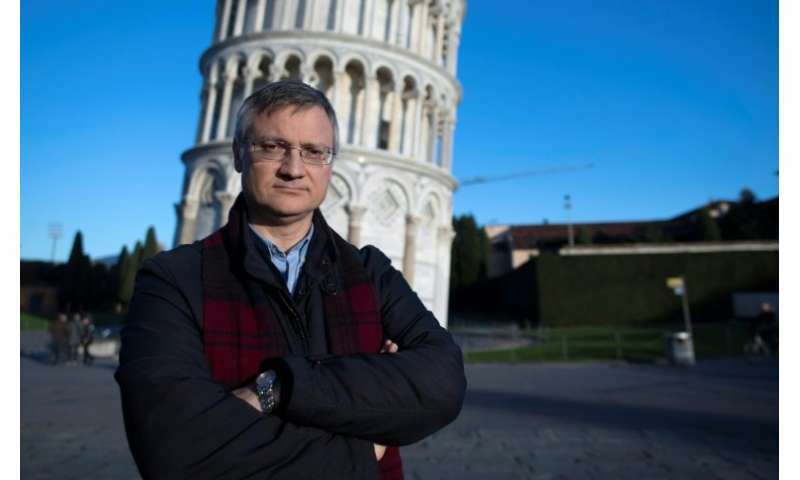 Engineering lecturer Nunziante Squeglia of Pisa University, who works with the Surveillance Group that was set up after the rescue work, has been studying and measuring the tower for 25 years. He says that the tower straightened by 41 centimetres (16 inches) until 2001, and another four centimetres since then. To understand how the 14,500-tonne building is moving, measurements are made as often as once an hour, some automatically using pendulums, some manually using a surveyor's optical level. "The tower tends to deform and reduce its lean in the summer, when it's hot, because the tower leans to the south, so its southern side is warmed, and the stone expands. And by expanding, the tower straightens," said Squeglia. He explains that there are three pendulums, one dating back to 1935, when systematic measurements began, although annual measurements began as far back as 1911. "The tower was much more mysterious when I arrived, it wasn't clear why it was leaning, and increasingly leaning," said Squeglia. "It is a building that has been extensively studied for over 100 years but there are still so many things to know," he said, including the remains of what looks like a domed roof inside the tower that is still unexplained. Meanwhile, Cela predicted that the tower "will never be completely straight". "When they were building it, there were attempts to straighten it (by adding stone on one side), so it has a slight banana shape." Singaporean tourist Alvin, who like many visitors is taking photos of friends 'holding up' the tower in the background, said he didn't know about the decreased lean. "Oh I didn't notice, is it because like everyone's pushing against it?" he said, promising to try to push the tower back if it straightens too much.